Here the sunflowers, there the hummingbird- equal seekers of sweetness. Here the quickening yeast, there the blue plums. 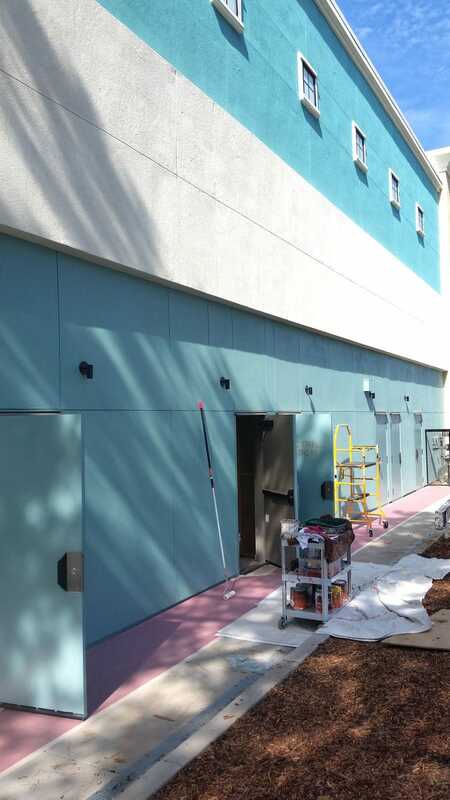 While working on this mural, I found myself an avid student of the sky each evening. My work was certainly learning to stand still and be astonished. 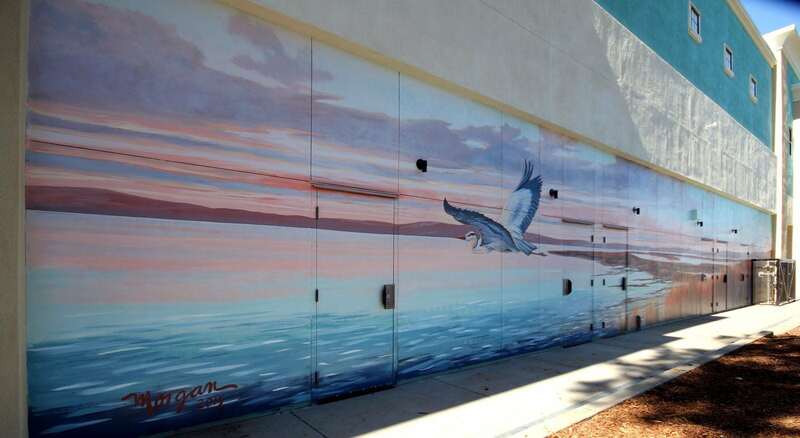 This 75′ long blue heron mural is painted on the side of a commercial building along side a busy road in Pittsburg, CA. There is a wetland wildlife preserve nearby, a tranquil and empty space that follows a seasonal rhythm while their human neighbors hustle and bustle on nearby streets through the details of their daily lives. 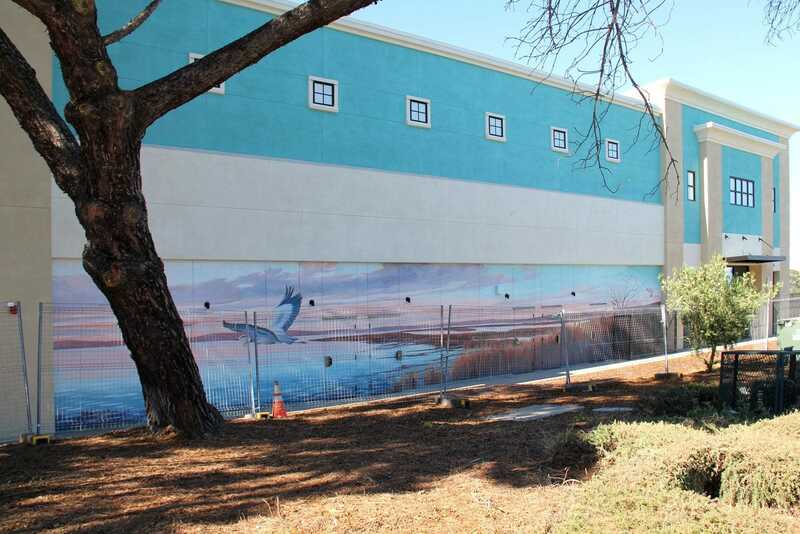 I like that this mural brings the avian perspective to their human neighbors. 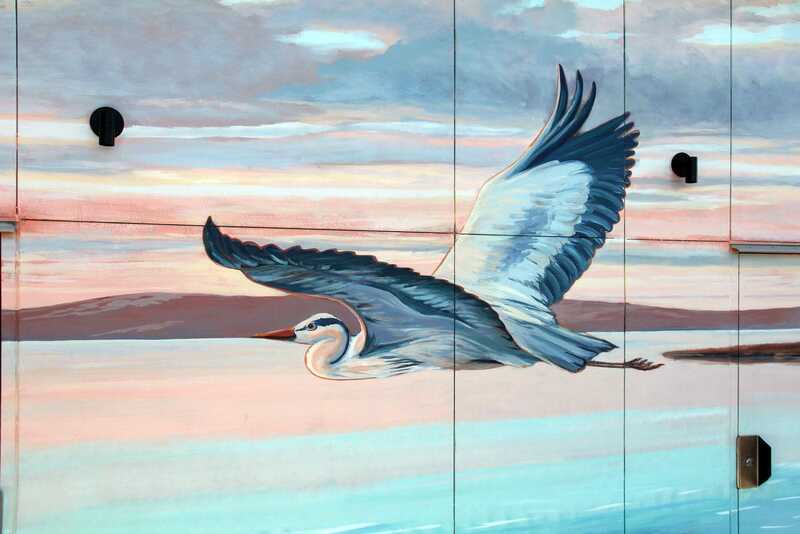 In order to get the days work on this blue heron mural finished before the wall was in full sun, I began each workday before sunrise. As I painted, I would gather inspiration from watching the colors in the clouds and sky change with the sun’s ascent. I would look over my shoulder and see some spectacular element happening in the sky, start to paint it, only to find the sky in a completely different situation five minutes later. Every minute is fleeting, unique, and beautiful.